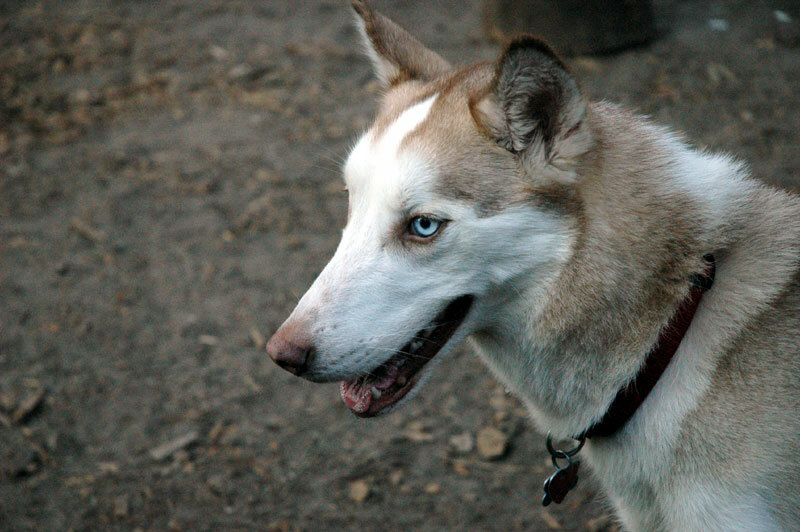 I have a husky named Isis, or more accurately, she considers my house her home. Like most dogs, she clearly understands that being on the furniture is preferable to being on the floor. This is something that we humans also grasp, mainly because it can easily be tested by empirical means: floors are generally hard and uncomfortable, couches and beds are far less so. I assume that dogs also tested this by empirical dog science (dogs tend to be empiricists). When Isis first arrived, my house had been home to two other dogs. The Golden Retriever, Chrissy, regarded herself as being a person and acted accordingly. The German Shepherd, Salem, followed Chrissy’s lead (always claiming that she was just following orders). As such, when Isis arrived, she recognized that that the furniture was to be used by both humans and dogs. This went along well enough until the original dog couch was replaced by a rather nice futon couch with a brown cover. While I did not think it could be possible, Isis manages to put out more fur than my two previous dogs combined. Plus, she has Aryan white fur, which stands out incredibly on the futon and almost every piece of clothing I own. Interestingly enough, Isis had been ignoring the futon until recently. But, clearly, something triggered her need to coat it with fur. While my girlfriend thinks that pets should be kept outside, preferably attached to some sort of generator, I’m fine with indoor pets. Part of this is simply unjustified habit-I grew up that way. Part of this is practical: the Florida heat, rain and insects would mean that outdoor pets have it very rough. Part of it is also preference-why have a pet (as opposed to a working animal) that you have to look out the window to see? Of course, the fact that I am fine with indoor pets does not mean that I fully accept having the furniture coated with fur. My attempt at a solution was to get Isis a very nice dog bed and also get comfortable area rugs (rather than just basic ones) to cover the floor. She does love the new area rugs-in fact, she insists on dragging anything she is eating onto the rugs. Being wise to the ways of dogs, I did get the ones that resist such things). However, she completely ignores the dog bed. I assume this is based on dog logic: if something is furniture, then a human will use it. The new green thing is not used by the humans. Therefore, the new green thing is not furniture. I suppose I will have to sit on it for a while, to convince her that is worthy of her coating it with fur.